One of the great things about being a YA author is that we’re kind of a close-knit bunch. We don’t see each other as competition for readers/reviews/sales, because at the end of the day we’re all after the same mission: getting teens to love reading. This is why we blog about each other’s books, we send tweets about other authors’ book launches, and we rally around one of us when undo controversy rears its ugly head. So the Superintendant had another librarian renege her invitation. As a result, four other YA authors (Pete Hautman, Melissa de la Cruz, Tera Lynn Childs and Matt de la Pena), who were scheduled to attend the event, pulled out in a show of solidarity and a stand against censorship. Since then, the debate has been: Is what happened to Hopkins censorship? After all, she was only disinvited from a festival. No one has the “right” to be paid to speak. That’s not in the First Amendment, so this can’t be censorship. The festival people can do what they please. Um, you would be right, if the festival organizers had simply elected not to invite Hopkins in the first place. That is their right. They get to pick their speakers and they could have chosen a less controversial YA author, there are plenty out there. But all the district librarians, teachers, and everyone else involved with the planning chose this award-winning author (whose books are considered the modern day Go Ask Alice!) because they thought her themes were appropriate for their audience, they thought her discussions would bring something valuable to their teens, and so they invited her. She accepted. However, a few parents and one librarian do not have the right, after the fact, to disinvite her due to their personal morality issues. That small group decided that they knew what was best for everyone’s children. And that’s when this became a censorship issue. Did they consult other parents before disinviting her? Did they send a letter home discussing all of the books that would be presented to better inform parents to make their own decisions? Did the superintendent even read the books in question before making a decision? No. This small group unilaterally censored Hopkins and her books from the festival AFTER they were already deemed appropriate by the festival organizers (and the YA community in general). No one has the right to determine for you or your family what’s appropriate. That’s up to individual parents and the teens themselves, and it’s a shame they were denied that opportunity. I feel for the teens who won’t get to hear these authors speak, but I commend my colleagues for taking a stand. You go after one of us, you go after all of us. 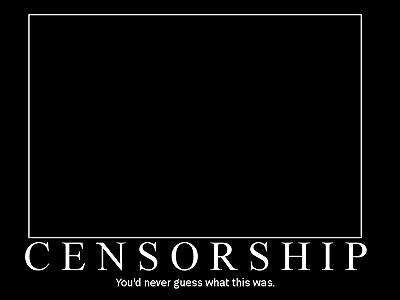 Censorship is wrong. Anyone else getting random magazine subscriptions sent to them lately? At some point last year, Town & Country just started sending me issues. I have no idea how they got my address, and I’m not paying for the subscription. And this would be cool if the content of this magazine were hitting its intended audience, but I don’t believe I’m it. They had an entire issue this summer that was a giant advertorial for various nonprofits, name dropping all the celeb’s involved with each charity. And as someone who used to work at a magazine (and a nonprofit), I understand the “themed” issue. But this read like a paid advertisement (not to mention, snoozefest). Why can’t someone send me free People instead? So I wonder, if the committee had selected Mo Willems because he is a popular author. Later, the parents realized that he is really an author for the preschool set and determined that his books were for another audience and withdrew their invitation. 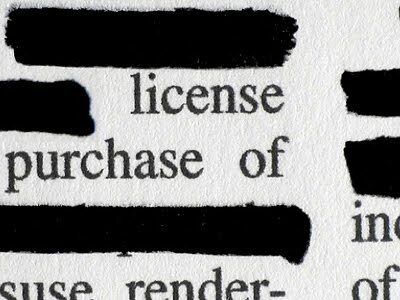 Would that be censorship? If you selected a caterer everyone raved about and then learned that they did not serve kosher food, so you withdrew your contract with that caterer, is that censorship? If you hire a popular band to play for your jazz festival and then learn that they will only play polka music, is that censorship? Thanks for visiting the blog! And I appreciate your comments; however, I don’t believe your analogies hold up. The committee invited a YA author and would have GOTTEN a YA author. No one is debating whether Hopkins’ books are intended for a teen audience, because they indisputably are. As I stated in the blog, this is censorship because a couple parents and one librarian have personal morality issues with the themes in her YA novels and took it upon themselves to make sure no teens attending the event would hear those themes. Given Hopkins large readership and many awards, I highly doubt the large committee that initially selected her was unaware of the themes in her novels. So there was no misrepresentation involved.